Have you ever wondered why certain drug addiction facts are so obvious to the addict, or person in addiction recovery, – and ‘normal’ people just don’t get them at a gut level? In this post we outline 10 drug addiction facts and concepts that are glaringly obvious. In fact they need little explanation, to those who are getting clean and living sober. These ideas and concepts are extremely confusing and difficult for others to understand at a gut level. 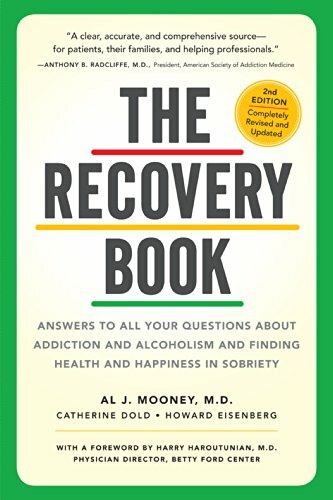 We will try to explain these concepts so that a “Normie” or person without direct experience with addiction, can understand it and to which an addict can relate. Let us know if you agree, disagree or we have jogged a memory. If you have something to add to anything discussed in this article please fill out a comment form located at the very end of this post. Only addicts can really understand the true power urges and cravings have over them mentally and physically. The physicality of them is next to impossible for a person who gas not gone through it to understand. Non-addicts can’t really get it. For me, it used to feel like a fist scrunching up my stomach and pulling me from the inside out toward the drug. It was like a giant invisible magnet powerfully pulling me toward it. Whether I liked it or not, there was no way I could refuse it. I had a “Normie” try to understand what urges and cravings are like He tried to relate by comparing them in this way: “I really like blueberry pancakes, once I get the idea in my head, I really want them until I eat them.” He asked if that was what it was like. I wanted to laugh or cry. But instead I explained. The difference is you wanted blueberry pancakes and you went and got them when a drug addict has urges and cravings for their drugs they don’t want them they need them. They need them so bad it becomes a focus that blots everything else out and they will do anything to get them and satisfy the urging craving. He looked at me kind of funny. I was working with a client and processing her relapse, she had completed a residential program and a step down IOP program and was out on her own. She relapsed within a month. When asked to explain what happened she stated that she had no intention of using, but it dope dealer came up and offered her an “free sample”. She stood there looking at the at the pills in his hand in a feeling came over her that just such short-circuited all rational thoughts and she took them. With tears in her eyes she stated “it was right there in front of me, there was nothing I could do.” The therapist in me thought yes, there was something you could do, you should’ve said no, but the addict in me said ‘I get it’. Her entire rationale for her relapse was the drugs were right in front of her and she couldn’t say no. Addicts understand that at a gut level, normal people will never get it. In my example previously used my friend was thinking about blueberry pancakes. Even if he says he was obsessing about blueberry pancakes, people who do not understand addiction are using a very watered-down idea of the power of drug obsession. Addicts really know what obsessive drug thoughts are. 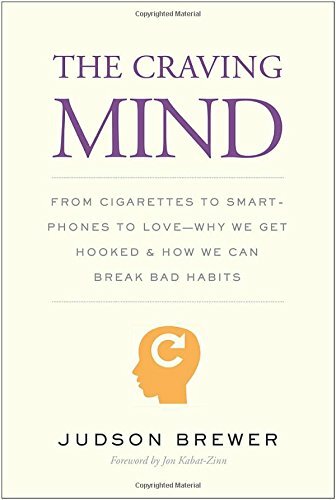 An addict in active addiction shows his obsession pretty much by an inability to think about anything else except drugs. Questions like “Where my going to get them?, Do I have enough money?, Who can I manipulate to get the cash?, Do I have to share any of it?,… And on and on. The psychiatrists use a fancy five dollar term to describe obsession, they say that ‘drugs become the central organizing factor in an addicts life’. Which pretty much means that everything revolves around drugs. That includes where we go, who we talk to, and what we do. A person with no experience with addiction really cannot understand that single-minded focus and obsession that becomes all-consuming to the exclusion of all else. Neurologists estimate 85-95% of all active addicts thoughts are of drug use. There literally is no room or time to be thinking about family, work, life goals etc. Many addicts state that their first high is actually the process of getting the drug in settling down and getting ready to use it. Oddly enough, science has verified this phenomena. They call it an anticipatory response. What happens is the brain anticipates that drug use is coming, (it has been trained that way), and it releases dopamine in the brain before the drug even gets there. Your body jumps the gun and get a little buzz before even taking the drug. The first rush that comes after the anticipation is something that only an addict can understand. Normal people have a lack of ability to understand how powerful that is. Scientists have measured the dopamine level drugs release as being 2 to 10 times higher than a person can achieve without them. Non drug users never experience that artificially high level of ecstasy. Therefore they do not really understand the pull for more, more, more of the drug once the uses started. In fact, that phenomenon of more, more, more, is described in the 12 step program as the phenomenon of craving. The big book states that that phenomenon is present in all addicts and not present in normal people. Normal people don’t have it and they can’t get it. A little story I used to explain this phenomenon is the fact that I love coconut ice cream. I can think about it and eat it and enjoy it. But I don’t eat bowl after bowl after bowl of it until I’m so sick I’m curled up on the floor with stomach cramps throwing up. But I will certainly do that with drugs and alcohol. Addicts really get that story, normal people get a questioning look in their eyes and laugh at it. Addiction is a disease of isolation and disconnection. Living sober is about connection and relationships. One idea I’ll share with you concerning the isolation and disconnection of active drug addiction is the fact that drug addiction reprioritize is the things that an addict thinks is important and puts itself on top. This means that it becomes more important than family relationships, and caring about people. In fact the dissent into isolation and disconnection is really driven by the fact that all an addict wants to do is to get high and stay high. Most people around him can see the destruction that is going on and are constantly telling and to change. If an addict is not ready he doesn’t want to hear that and he will distance himself from voices of reason. There is a depth of loneliness, depression, isolation in futility that virtually all addicts achieve in their own personal hell. One of the reasons normal people really don’t understand detox and dope sickness is it they can understand how strong and vice like the grip of addiction is on a person. They don’t understand how hard it is to break those chains. In a really basic way every time an addict puts drugs or drinks alcohol into their system they are poisoning themselves. Their bodies have developed defenses to counteract the poison. When drug use is suddenly stopped the body reacts violently. That’s just the physical part. The real lack of understanding is the mental or psychological piece of detox and dope sickness. Normal people cannot understand the deep-seated fear opiate addicts have of dope sickness. The idea that they continue to use just to avoid withdrawal is completely foreign to them. To an addict it makes perfect sense. Every addict was gone through detox, dope sickness and PAWS (Post Acute Withdrawal Symptoms), has their own personal war story to share. Unfortunately, sometimes the intensity of the pain fades with time. One of the most basic tools of relapse prevention is to remember the pain. We know what we’re doing to ourselves. Normal people mistakenly believe that addicts don’t know how much damage they are doing to themselves and other people those horrible negative feelings come from the fact that we actually do know the path of destruction we are crossing. But, we can’t seem to help it. We know we are doing destructive things and do it anyway. That can scare anybody up. A drug addict will do almost anything to get high. A common idea expressed by drug addicts is that they did things they swore that they would never do. They sank lower than they ever thought they could go. That is bad enough, but the fact is they are aware of it and continued to slide downhill. That is the generator of negative emotions. There is a realization that occurs at some point in time that almost always occurs within the first year of recovery. The realization is that were really not all alone. In fact, that isolation and disconnection which is dominated are lies for so long is suddenly lifted. It is like a weight coming off ones shoulders. This moment of awareness is often discussed in the 12 step rooms. When an addict in recovery hears other stories from people in recovery, at some point they realize that others have shared their deepest darkest secrets. Things that they thought only happen to them, or only they had done, are shared by others. That realization destroys isolation and enhances connection. My worst day sober is better than my best day when I was using. My life now (sober) is beyond my wildest dreams. When a person starts accruing time in recovery and is actively working to grow and change himself, life starts getting good again. There is a euphoria, and almost an ecstatic feeling that is often described by addicts is a feeling like no other. Enjoy it, and keep pushing it, that’s what recovery is all about. Neurologists have actually discovered that there is some physical science behind this euphoric feeling. One of this side effects of using drugs is that the brain shuts down its normal dopamine production. The body doesn’t need to produce it because it is being artificially introduced by the drugs. When a person stops using drugs, it takes a while but the body starts to produce dopamine again. Dopamine is the feel-good chemical and this drives that feeling of life getting good again. In 12 step for an ocular this phenomenon is known as “the pink cloud”. While feeling great, fine, there is a significant danger involved. 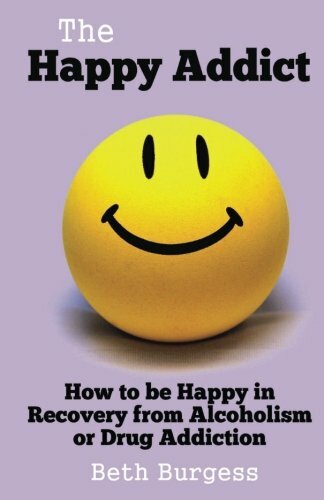 Many addicts in recovery get the idea that if they feel good, they are good, in other words they are cured. Some addicts will get to the point where life is going good and stop doing the things needed to sustain it. I have heard many, many relapse stories that begin with the idea of “I was doing everything I was supposed to be doing and life got really good then I stopped doing what I needed to do and I relapsed”. Why do people relapse and return to drug use? Once they have tasted the good life why return to misery? If I had the correct answer to that, I would right a book, it would be a best seller and I be a millionaire. The fact is there are many answers each contributing a piece to the puzzle. Logically and rationally neither one of these statements make sense to the person who states ‘I don’t know why i got high’. To me, (wearing my clinicians hat) the answer is simple. You got high because you wanted to get high more than you want to stay sober. End of story. Everything else is BS an embellishment. The response to the second most common reason as to why people relapse, complacency is also very simple. Why did you get complacent? Answer – you got lazy. You knew what you had to do, were successful when you are doing it but you stopped. Why… Here is where the excuses come in, story, story, story. I started working more, I met a guy/girl, I had better things to do with my time. Some people refer to relapses as having a slip. S.L.I.P. means Sobriety Lost It’s Priority. I hope you enjoyed reading and reminiscing while reading this article as I did writing it. One thing that is clear in life is that everybody has a different point of view. I have discovered that is far more important to be able to understand and explain your own point of view so that people “get it”, then it is to convince people that you are right or wrong or what you’re saying is good or bad. The trick is, that in order for person to understand something at a gut level, they have to have some basis of experience and be able to relate to it somehow. The changes and addicts involvement in drug addiction bring about are so profound, that it is very challenging for people with little experience even understand the basis for an addicts actions. When parents are loved ones of drug addicts ask what they can do this a support their people, I provide the same answer time after time. The number one thing family or friends of a drug addict can do that can support them is to get their own education on drug addiction. In order for family or friends to be supportive they have to have some understanding of drug addiction of self. This post on 10 drug addiction facts and concepts is by no means meant to be inclusive, but rather an illustration of the differences in points of view between a drug addict or person in recovery and a person who has no experience with addiction at all.